Kenneth and Jenny Keavey didn’t know “anything about farming or business” when they began delivering boxes of home-grown vegetables to friends and acquaintances eight years ago. Now delivering produce from Mayo to Limerick, their company, Green Earth Organics last week took home the €10,000 top prize in the SCCUL Enterprise Awards, and 2014 looks like a year of further growth. Named ‘One to Watch’ at last year’s SCCUL Enterprise Awards, Green Earth Organics is an innovative company based on a traditional concept, “giving customers a convenient way to get really good food delivered to their homes”. Mr. Keavey grew up around such food; his grandfather was head gardener at Cregg Castle, Corrandulla and the 30-acre Green Earth Organics farm at Caherlea has been in the family for three generations. He also knows about non-organic produce, having worked in the UK in the pharmaceutical industry as a senior research scientist. While the roles appear disparate, he has applied the organisational skills developed while studying for his PhD in Medicinal Chemistry at the University of Cambridge to his work, and his “deep knowledge of what chemicals do and what they can do to environment”, coupled with his passion for the environment, made him want to do something positive for it. Hence Green Earth Organics, which delivers boxes of organic vegetables and other products to customers’s homes. ”The basic premise of it is you get a delivery to your house once a week of fresh organic veg. Generally, it’s local where possible. The idea is that that will help you improve your diet; you’ll be getting fresh veg, the veg will be there, you’re going to use it, you’re going to eat more veg,” he says. The scheme is flexible and customers can customise boxes to suit their needs and tastes. ”It supports the local economy, you’re buying local seasonal food so the food is fresher, it’s better value, you’re getting the best in terms of health, nutrients and, with us certainly, what you’re getting is something you can trust, it’s good safe food, ” says Mr. Keavey. Green Earth Organics currently employs eight full time and two part time staff, and is set to hire more during the year as the business expands. Mr. Keavey says a strong team has helped the business succeed to date. The company’s present delivery route covers from Westport, Co. Mayo to Limerick market and expanding there, with the intention of offering their services in Dublin in future. Much of the produce delivered is grown on their own farm but the company is also looking to contract and growing to other organic suppliers, indirectly supporting further employment. While the company has an eye on expanding its customer base, the central packaging facility and organisation base will remain in Corrandulla. In fact, the €10,000 case prize the company won at the SCCUL Enterprise Awards will go towards building a new packing facility there, which will help to grow the business, and towards enhancing their online ordering system. The company has identified online sales as a key growth area. ”?You can see it in the UK, all the major retailers are investing heavily in their online ordering systems,” says Mr. Keavey. But direct customer interaction also remains important and Green Earth Organics sell their produce at Moycullen Market every Friday and its farm shop is open every Wednesday from 2pm to 7pm, when customers can learn about produce and how it’s grown. “People have been disconnected from their food supply, that’s been fairly obvious in the news over the last couple of years with all the scares” says Mr. Keavey. “People are so far removed from the production of food now they don’t actually know what’s going on any more,” he says, adding that social media is an excellent way to communicate to the public where their food is actually coming from. Market prices for vegetables has also long been an issue for growers, with the Irish Farmers’s Association most recently protesting the “unforgivable” and “morally wrong” practise by large retailers of selling fresh Irish vegetables for as little as five cent per kilogram, which the group said “made a mockery” of the hard work done by growers. “What’s happened there is food is being completely devalued to the point of view where it’s worthless. He adds that one of the benefits of organic produce is it has to be grown according to a set of strict regulations. ”Organic food doesn’t have chemicals on it, that’s a fact, and it’s grown with respect for the environment, so if you come to our farm, you will see birds and bees and all the wildlife and diversity that thrives here. If you go to other farms, you may not see that because chemicals cause damage and I know that because I’ve worked with them. I’ve worked in the industry for a long time, ” he says. Reflecting on his decision to move from the pharmaceutical industry and start his own business, he says the greatest challenge starting out was that he and his wife had no knowledge or awareness of the supports available to them, and felt that it would be difficult to access them in any case. He feels there are now more supports available to start-ups, and says that one of the benefits of SCCUL is the case of access it provides to mentoring, support services and any other help entrepreneurs may require. 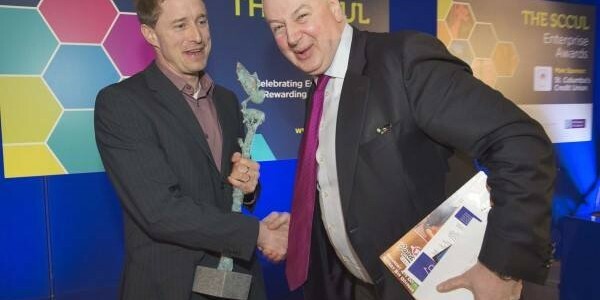 Aimed at celebrating entrepreneurship and rewarding local enterprise, the SCCUL Enterprise Awards are an initiative of SCCUL Enterprises Ltd aided by Ballybane Enterprise Centre, St. Columba’s Credit Union and Galway City Council. 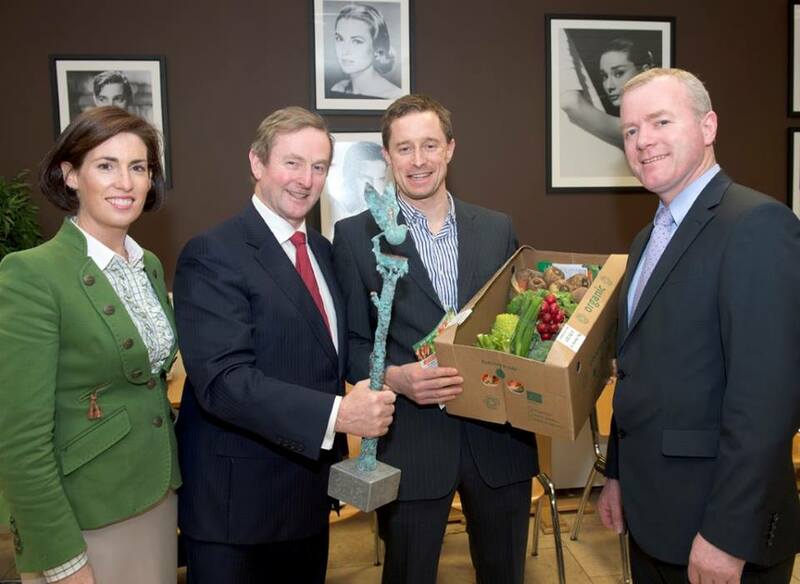 Green Earth Organics last week claimed the top prize of €10,000, a €2,500 advertising package from media sponsor the Galway Independent and a specially commissioned sculpture by Galway based sculptur Liam Butler. In addition to claiming the overall prize, Green Earth Organics won the SCCUL Enterprise Agriculture and Food Award. For more details on Green Earth Organics, visit www.greenearthorganics.ie. For information on the SCCUL Enterprise Awards, log onto www.scculawards.ie. 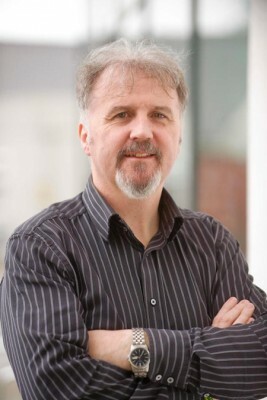 CV: Mr. Keavey holds a PhD in Medicinal Chemistry from the University of Cambridge and previously worked as a senior research scientist in the UK. Upon returning to Ireland, he and wife Jenny established Green Earth Organics on the family farm in Caherlea, Corrandulla in 2006. 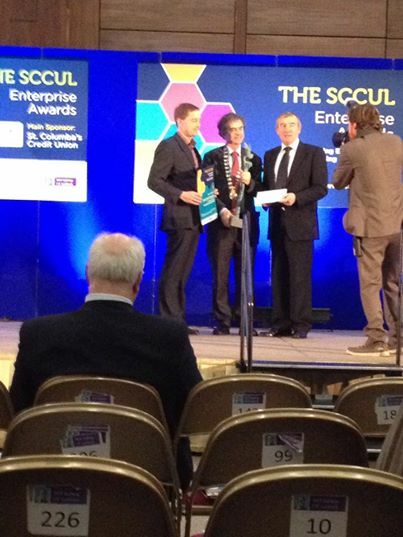 The company was last week named overall winner at this year’s SCCUL Enterprise Awards. Embrace that person inside you that has ideas and strengths like no one else. Be the person you know yourself to be. And above all, be true to yourself and put your heart in it. Don’t try to change the world, but also don’t let the world change the person you want to be. Starting this week get your priorities right. Years from now, it won’t really matter what you did today. What will matter is how you loved and cared and how you applied this to life. Take full responsibility for your ambitions, know your worth. Don’t expect to see positive changes if you surround yourself with negative and destructive people. Don’t give part-time people a full-time position in your life. Know your value and what you have to offer and never settle for anything less than what you deserve. Treat people the way you would like to be treated. When faced with long queues, traffic jams or waiting on an appointment, you have two choices: You can get frustrated or you can view it as life’s way of giving you a guilt-free break from rushing, and spend that time daydreaming, conversing or watching nature. The first choice will raise your blood pressure. The second choice will raise your perception. Choose the things that truly matter. The smartest way to live is choosing what truly matters, and pursuing it passionately. Let someone love you just the way you are. As flawed as you might be, as unattractive as you sometimes feel, and as unaccomplished as you think you are, let someone love you despite all of this; and let that someone be you. Accept your strengths and weaknesses. We often waste too much time comparing ourselves to others and wishing to be something else. Everybody has their own strengths and weaknesses, and it is only when we accept everything, then we are able to become who we are capable of being,. Learn from others, and move on when you must. Some people come into your life as blessings, others come into your life as lessons. Be honest in you relationships. If you’re not happy, be honest, and move on if you must. When you’re truly in love, being faithful is not a sacrifice, it’s a joy. Don’t get to the end of your life and find that you lived one of regrets. When it comes to living as a passionate, inspired human being, the only challenge greater than learning to walk a mile in someone else’s shoes, is learning to walk a lifetime comfortably in your own. As your thought for the week, never give up on you. This is your life; shape it. Strength shows not only in the ability to hold on but in the ability to start over. It is never too late to become what you might have been. Established in 2006, Green Earth Organics is the brainchild of Kenneth and Jenny Keavey who relocated from London to take-over the farm that had been in their family for three generations. Their dedication and hard work has resulted in the farm becoming one of the biggest organic vegetable farms in the West of Ireland, which employs seven full- time and two part-time staff. PEOPLE living in Co. Galway’s numerous unfinished housing estates have an anxious wait ahead to find out if their estate is among those chosen for improvement works by Galway Co. Council. The local authority is currently carrying out a review of the state and number of unfinished developments around the county as part of its bid to secure Government funds to help tackle the ongoing problems in ghost estates. The Council previously ruled out any demolition in the 50 or so ghost estates located in different towns around the county and dealing with the problem has proved complicated. While some estates have an occupancy rate of less than 50 per cent and have been abandoned by the developer, local authorities are advised only to intervene directly as a last resort. People living in the estates where there are many half-finished houses, unsightly site work, mounds of fill and soil, open manholes and uncompleted open areas, ground works and roads continue to complain to the Council. However, while it has been suggested that demolition work is the only solution for some estates in areas where the houses are unlikely ever to sell, it’s understood that the Council simply doesn’t have the powers to do this in a private estate and legislation only provides for the enforcement of the conditions of planning permission. A spokesperson for the Council confirmed to The Tuam Herald that it will be making a submission for funding under the recently announced €10 million funding scheme from Government. “The estates that will be the subject of our application for funding have yet to be determined and accordingly no details on the location of same or the works therein are currently available,” stated the spokesperson. The number of residential estates is being assessed on a case is being assessed on a case by case basis, trying to ascertain what works are outstanding and what the financial position of the developer is, or if there are any funds available to ensure the completion of the estate. A few years ago €5 million nationally was earmarked to address the most immediate public safety hazards in estates partially occupied by residents but it’s not known how much of this was drawn down for works in Co. Galway. Local election candidate Nora Fahy, who lives not far from Williamstown, which was known to have the highest number of unfinished states in the county, says hundreds of families are still trapped in limbo. She is eager for the Council to apply to the €10 million fund and outline the issues facing the most problematic estates in the county. “There is still a major problem with unfinished housing estates all over Co Galway and East Galway with many couples and families trapped living in limbo land. Hard working people are struggling to pay a mortgage and put food on the table. They worked hard to buy their own homes in many of these estates but then they were left living in the middle of construction sites,” remarked Nora Fahy. The Fianna Fáil Tuam local area candidate hopes the €10 million fund will help alleviate the plight of those living in unfinished housing estates. “The lack of public infrastructure in many of these unfinished housing estates also puts off any potential buyers from expressing an interest in the estate and so many homeowners are left isolated in a deserted housing estate which was meant to be their dream home,” added Nora. The fund is specially designed to address deficiencies in public infrastructure such as roads, footpaths, public lighting and open spaces. It is envisaged that by addressing these problems, it will unlock the potential for developers and funders to invest additional capital to complete the housing element of the development. Residents will be eager to see the updated Co Council list. While close to 60 developments were deemed to be unfinished in 2012 and got a waiver from the controversial Household Charge, residents were shocked by some of the estates that were left out. There was further surprise when the list of estates that are exempt from property tax emerged, which listed just a section of one unfinished estate in Tuam, Carrigweir and omitted others such as Clochrán and Vicars Choroland. On last Monday evening, the Claregalway Ladies All-Ireland Football Champions were given a civic reception, hosted by Galway Co Council at County Hall. Major of Co Galway Liam Carroll paid tribute to the achievements of the Claregalway team in taking the All-Ireland title and thanked the mentors and parents for the great work that has been carried out, which has enabled the team to capture All-Ireland honours. Meanwhile, Presentation School Athenry reached the Connaught Colleges Senior A semi-final with a win over Mercy, Roscommon on Thursday last, with local players involved. Also, best wishes to Ruth Horkan, Siobhan and Emile Gavin, who play for the Connaught Schools’ team in the CLGFCPPS Inter-provincial in Mullingar next Saturday, 25th. The chub’s social will take place this year on March 1 in the Claregalway Hotel. This promises to be a great night, as the club celebrates its two All-Ireland wins in the boys’ Feile and Intermediate Ladies in 2013. Well done to all involved in the Comhaltas Mummers’ concert last weekend. It was highly entertaining and wonderful to see such young talent in the community. Lackagh Mummers presented two wonderful performances to packed houses at Turloughmore Social Centre. The demand for tickets for the Saturday night show was so great that the group decided to arrange a second concert for the Sunday afternoon, which also brought in a packed house. The hall was filled to capacity on both occasions, which is a tribute to the hard work that is carried out in traditional music in the area. A huge thank you to all who performed and assisted during the course of the weekend and those who helped in making the event such a success. The week before, The Lackagh Mummers captured many awards at the annual New Inn Festival, this year taking the top award in the senior and juvenile sections. There are almost two hundred young musicians involved in traditional music in the area, which is a huge tribute to the leadership and work carried out by a small handful of people. It has taken a tremendous effort to get the group to this stage and the mentors and parents involved deserve tremendous appreciation and acknowledgement for the work that they do on an ongoing basis. It is widely acknowledged that this success has come over many years from the initial work carried out by former Lackagh National School principal Joe Collins, who teamed up with the late Denny Costello and Jim O’Brien in the promotion of traditional music in the area. Joe Collins can be rightly proud of his achievements and the fruits of his labours have brought Lackagh up among the top areas in the county in traditional music. Well done to all concerned in providing the people of the area with two wonderful outings of top-class entertainment. Also, best of luck to our Scor na nOg instrumental music group, who are performing at the Connacht Scor in the Royal Theatre in Castlebar this Saturday. The group members are Amy Murphy, Ava Quirke, Dan Knoop, Eoghan Gallagher and Laurie Moran. 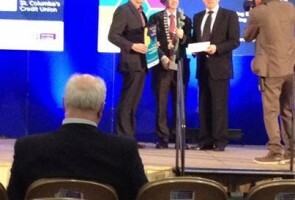 Reform Conference will generate Ideas for Jobs and Growth in Galway. The Reform Alliance, which includes Senator Fidelma Healy Eames, Denis Naughten TD and 5 other Members of the Oireachtas are hosting a public Reform Conference in the RDS on Saturday the 25th of January 2014. Speaking in advance of the event, Senator Eames said the conference hopes to create ideas for job creation in Galway and around Ireland. “Recent statistics from the Department of Finance show that just 25% of Small Businesses are looking for a loan but that is a problem in itself. We have to ask, why are small businesses not looking to invest in their business? In most cases from businesses I meet in Galway they have too much debt and the banks are not doing enough to write off some of that debt that relates to boom time property mistakes rather than the actual business itself”. Despite some of the media depictions drawing parallels to Daniel O’Connell’s famous “Monster Meetings”, or that this is an Ard Fheis style meeting precipitating the launch of a new party, neither of these representations are accurate. The Seven Members of the Reform Alliance, Denis Naughten TD, Billy Timmins TD, Senator Fidelma Healy Eames, Terence Flanagan TD, Paul Matthews TD and Senator Paul Bradford and Lucinda Creighton TD are sponsoring the conference, but it is the audience and the panel participants who will be playing the starring roles. The first step is to try and reach out to the Irish people who have something to say and show them that their ideas and experience are not just welcome, but necessary. This will be an open forum, where everyone is welcome and where we are genuinely interested in hearing strong reform ideas in the area of politics, health and the economy. You can register for the event @ https://tito.io/exsite/reform-conference . Currently over 800 people have registered to attend including at least over 100 third level students or members of academia. The aim of the conference is to be as inclusive as possible and promote as many reforms as possible, so we are asking panellists to keep to a strict timeline to ensure that both members of the audience as well as contributors can have a good amount of time to speak. We are requesting that each panellist would present 2 specific reforms and be given 5 minutes to present both reforms and then it will be thrown to the floor where we are asking members of the audience to present their own reforms, with a 2 minute speaking time limit. 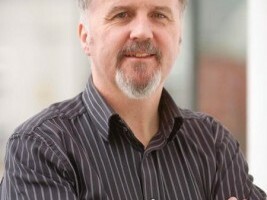 Brian Caulfield – Entrepreneur, Angel Investor in the tech sector. Our minds have a capacity to notice the unusual. However, the opposite is true as well. The more often we see the things around us, even the beautiful things, the more they become invisible to us. That is why we often take for granted the beauty of this world – the flowers, the trees, the sea, the birds, the clouds - even those we love. Because we see things so often, we see them less and less. Those who live in thanksgiving daily, however, have a way of opening their eyes and seeing the wonders of this world as though seeing them for the first time. A blind boy sat on the steps of a building with a hat by his feet. He held up a sign which read: “I am blind, please help.” There were only a few coins in the hat. A man was walking by. He took a few coins from his pocket and dropped them in. He then took the sign and wrote some words. He put the sign back so that everyone who walked by would see the new words. “I was,” the man answered. “I wrote the truth. I just said it in a different way,” the man said. Do you think the first sign and second sign were saying the same thing? Of course, both signs told people the boy was blind. But the first sign simply said the boy was blind. The second sign told people they were lucky that they were not blind. As your thought for the week, always be thankful for what you have. Be creative. Be innovative. Think differently and positively. Live lift with no excused and love with no regrets. Face your past without regret. Handle your present with confidence. Prepare for the future without feat. And do the best you can. No matter what you do in life, always care and love genuinely and honestly as much as you can. P.S. The Cairde Ciarral Table Quiz for Galway Hospice takes place on Tuesday 28 January in the Salthill Hotel at 8.30pm. It’s a great cause and should be a great night. I was out running recently around a few hurling pitches that are close to my home, getting back into my Operation Transformation mode. While running, my mind wandered back to my hurling playing days at secondary school, I remembered a life changing incident for a poor friend of mine, let’s call him Gary. It happened during a secondary school hurling match. Gary latched upon a loose ball around the middle of the field and rose it with his hurl. With a sudden burst of speed, he made a beeline toward the goal posts. The crowd were shouting loudly and his team mates were screaming frantically. This seemed to give Gary the added zest. He dashed past the 45 metre line and walloped the ball over the bar for a wonderful point! When the sliothar hit the ground after going over the bar, Gary discovered that he had run the wrong way and that he had scored for the wrong team. This was one for the books and one he would never live down. But is this mistake something peculiar to Gary? Aren’t there a lot of us running in the wrong direction? Scoring for the wrong team? We hear the crows and we associate the shouting with something. We interpret this as approval and put new energy into our blissful stupidity of running the wrong way, scoring for the wrong side. Let’s stop right now and take a look around us. Where are we headed? We have to be going somewhere. We have to have some kind of goal because that is the way we are made. Functionally, people are somewhat like a bicycle. A bicycle maintains its balance and equilibrium as long as it is moving toward something. Likewise, if we lack personal goals, we lose our balance and sense of direction. This is why in this game of life, we have to bring things into focus and determine what our goal is. Where do we really want to go? If we are just running, we are apt to expend a great deal of energy with nothing to show for our pains in unwholesome pursuits. There is wisdom in the saying, ‘Look before you leap’. The Alphabet Goal of Life…. A – Avoid negative sources, thoughts, people. B – Believe in yourself. Ce – Consider things from all angles. D – Don’t give up or give in. E – Enjoy Life today. Tomorrow may not come. F – Family and Friends are Hidden Treasures. A gift of God to you. G – Give more than you planned to give. I – Ignore those who discourage you. J – Just Do it! K – Keep doing no matter how hard it seems! It will become easier. L – Love yourself first and most. M – Make it happen. N – Never lie, cheat or steal. Always strike a fair deal. O – Own up to your mistakes. P – Practise makes you perfect. Q – Quitters never win and winners never quit. R – Read, study and learn everything important in your life. T – Take control of your destiny. U – Understand yourself better to understand others. X – Xcellerate your efforts. Y – You are unique. Nothing can replace you. Z – Zero in on your Goal and go for it. As your thought for the week, may you always feel the loving presence of those who hold you in their thoughts and prayers. May your spirit find what it needs to sustain you in your quest for your goal in life and may you discover you inner strength and face all difficulties with dignity and grace. CLAREGALWAY is celebrating its inaugural lparticipation in the BT Young Scientist competition with a group of students claiming two prestigious awards at the RDS over the weekend. First year students Darragh Jordan, Conor Finnerty and Sean Mitchell claimed the Special GAA award for their Kill/Tech project that is centred on removing the controversy associated with contentious refereeing decisions in handball. The KillTech project is based around the prototype of a laser beam system that is built into a handball court to detect the precise location of the hop of a ball to determine whether or not a point has been scored. The boys also came second in the junior section of the technology category in the four-day event. where representatives from the Patents Office showed interest in their project. Teacher Eleanor Nolan said it had been an incredible week for the school and the boys had represented Claregalway with distinction and pride. “Initially I thought it might be too soon for us to compete at that level given that we are only up and running as a school since September and the lads are so young, but this has been an incredible experience for us all and the support from the school has been tremendous,” she said. Darragh, Connor and Sean received a cash prize of €225 for their second place in their group and will also be treated to a skyline tour of Croke Park as part of their GAA award. “We got really good feedback from those who visited the stand over the four days including the hurler Richie Power and the Dublin footballer Jack McCaffrey who were really interested, as Richie plays handball himself,” said Darragh. Other high profile visitors to the boys’ stand over the four days included RTE presenter Bláthnaid Ní Chofaigh, Tánaiste Eamon Gilmore TD and MEP Marian Harkin. Another Claregalway College student who impressed at the RDS was Daniel Broderick, whose study on the effects of food and water consumption on the quantity and quality of eggs laid by hens narrowly missed out on an award. “The experience of being up in the RDS competing at this level was amazing and it certainly left me wanting to enter the competition again,” he said. Our full archive is available here. The www.claregalway.info project began as part of an effort to engage new residents of Claregalway with the community and history surrounding them. Find out more here.